Does your lifestyle require the everyday capability that only a full-size truck can provide? If so, Toyota has built the ideal truck for you. With the arrival of the 2016 Toyota Tundra, the full-size truck competition as been put on notice. 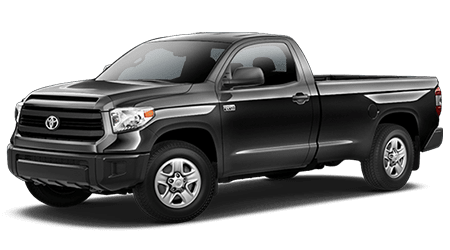 The latest version of Toyota's full-size pickup continues to improve upon previous Tundra versions, by offering serious performance, versatility, and technology features, wrapped up in an aggressive and stylish exterior. Lipton Toyota, serving the communities near Hollywood, Deerfield Beach, and & Weston, has a wide selection of Tundra full-size trucks in stock for you to explore. Stop by today, or browse our selection of rugged and dependable Tundra trucks here on our website. The Toyota Tundra and Nissan Titan are the most recent arrivals to America's full-size truck segment, so comparisons between the two are common. Let's see how the Toyota Tundra stacks up against Nissan's latest Titan XD. The 2016 Toyota Tundra proves that driving a capable and versatile full-size truck can be highly affordable. With a starting price of $29,950, the 2016 Tundra can be purchased for about $10,000 less than Nissan's Titan XD (the Titan starts at $40,290). With that significant of a price difference between these two rivals, you may expect the Nissan to be better equipped in standard trim. One glance at the list of standard features on these trucks tells a different story - once again in favor of the Tundra! The days of full-size trucks being nothing more than utilitarian vehicles are, thankfully, long gone. Today, drivers expect new pickup trucks to offer the same level of comfort, convenience, and technology features that come on other passenger vehicles. When it comes down to standard features, the Tundra wins big over the Titan! Desirable amenities like heated and power-adjustable exterior mirrors, skid plates for underbody protection, a backup camera, voice and activated controls are standard on the 2016 Tundra. 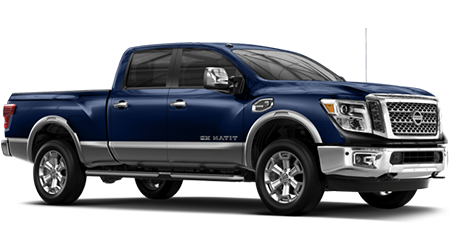 Unfortunately, drivers of the new Nissan Titan will have to pay for some major upgrades to obtain similar features on their truck. Keep in mind the significant price advantage for the Toyota - nearly $10,000 - and the decision becomes a no-brainer in favor of the 2016 Tundra. When you are ready to experience the impressive capabilities of the 2016 Toyota Tundra, near Hollywood, Deerfield Beach, and & Weston, stop by Lipton Toyota for a test drive.